PENCILLERS: Greg Capullo, Yanick Paquette. 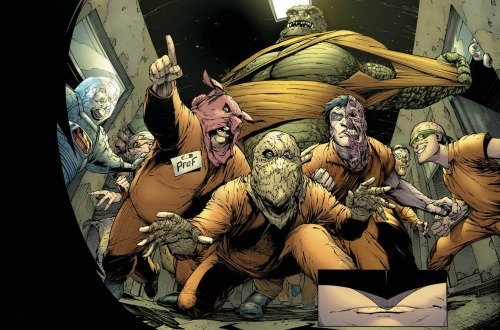 What’s the deal with these guys and big Batman robots? 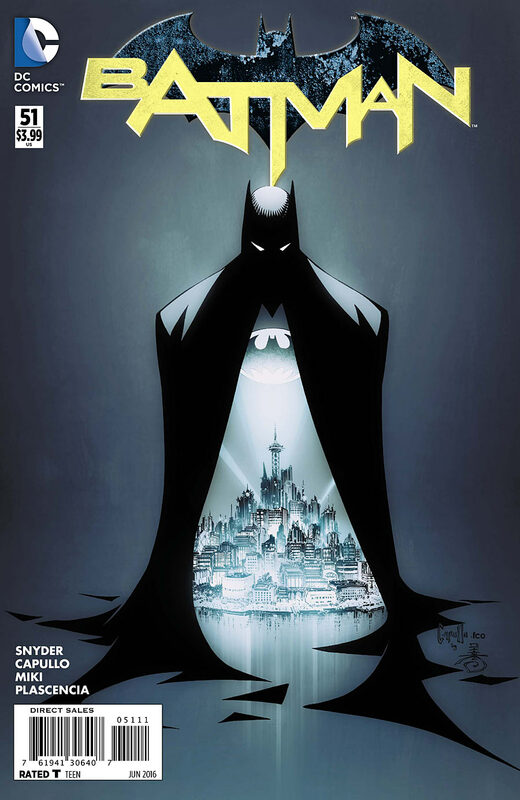 I credit Scott Snyder, Greg Capullo, and everyone who’s worked on this Batman run since 2011 with thinking big and not being afraid to take chances. They’ve created something that’s helped define the character for the 21st century. 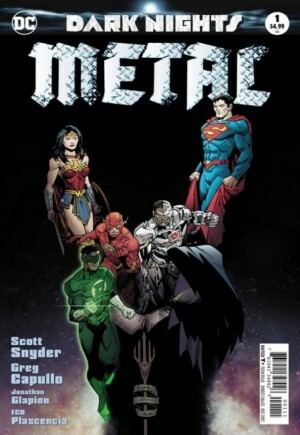 But good lord, these guys have some kind of hard on for Batman and big robots. 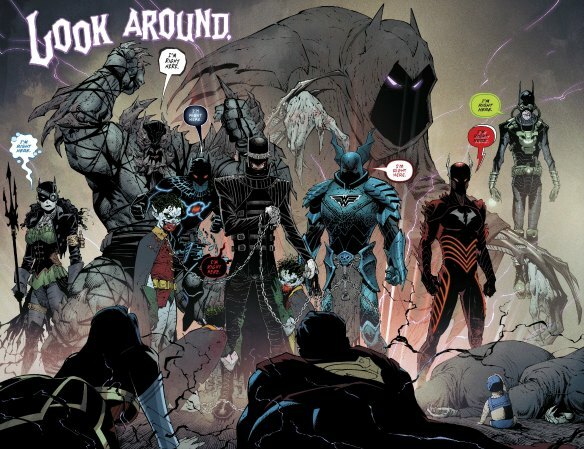 In issue #11, when Batman is fighting the Court of Owls as they invade the Batcave, he’s in a big robot. 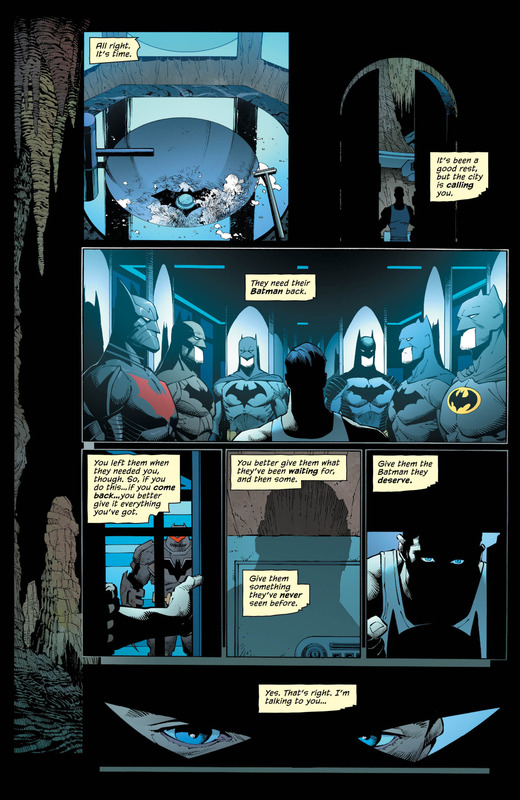 In issue #36, when Batman fights Superman, who’s fallen victim to Joker’s mind control, he’s in a big robot. 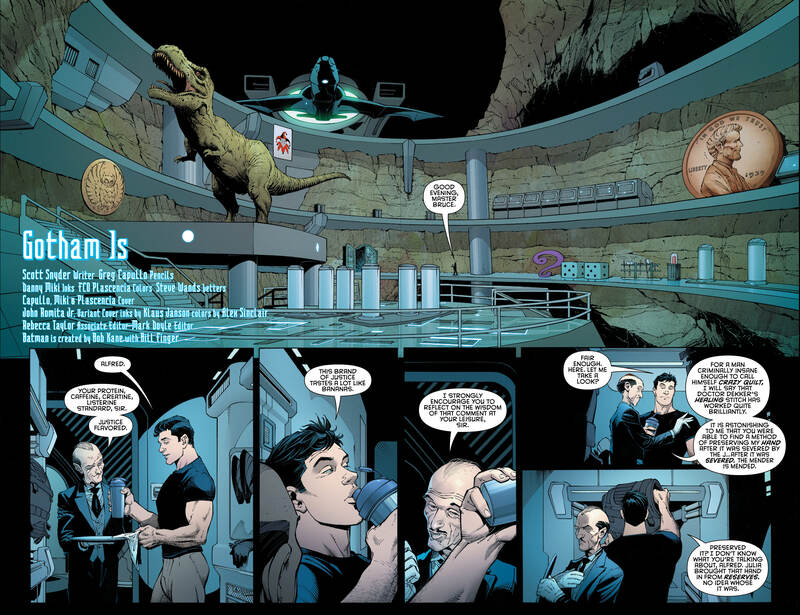 When Jim Gordon takes over as Batman, half the time he’s in a big robot. 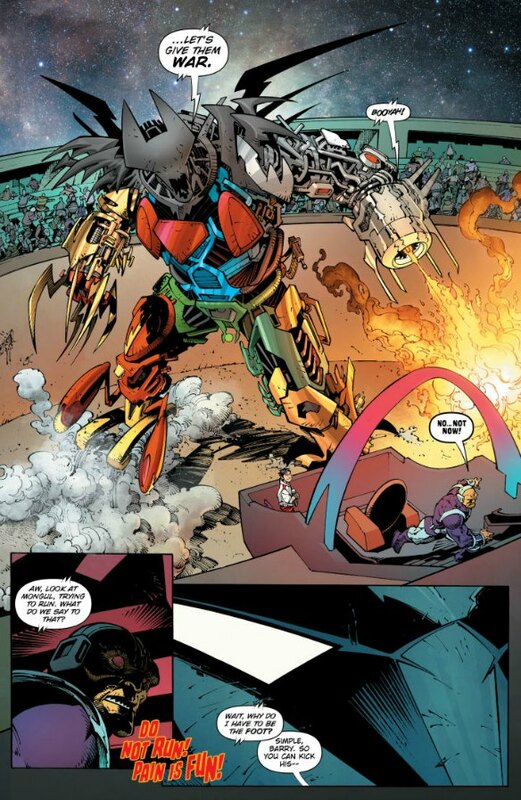 So of course, in the penultimate issue of their run, Scott Snyder and Greg Capullo couldn’t resist putting Batman in a big robot as he does battle with Mr. Bloom. But not just any robot. A giant robot. A big Bat-Megazord. Yuck. But let’s not get too far ahead of ourselves. 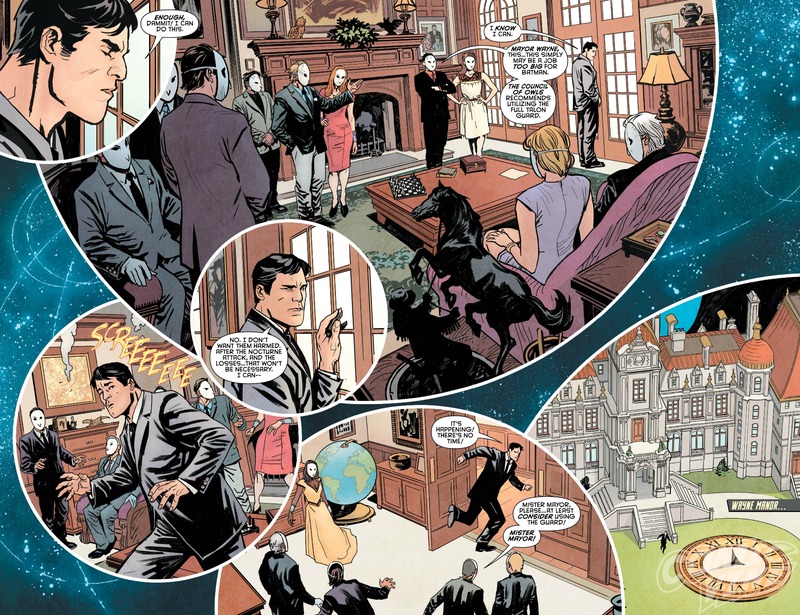 For the first time since his brutal war with The Joker, Bruce Wayne is Batman again. 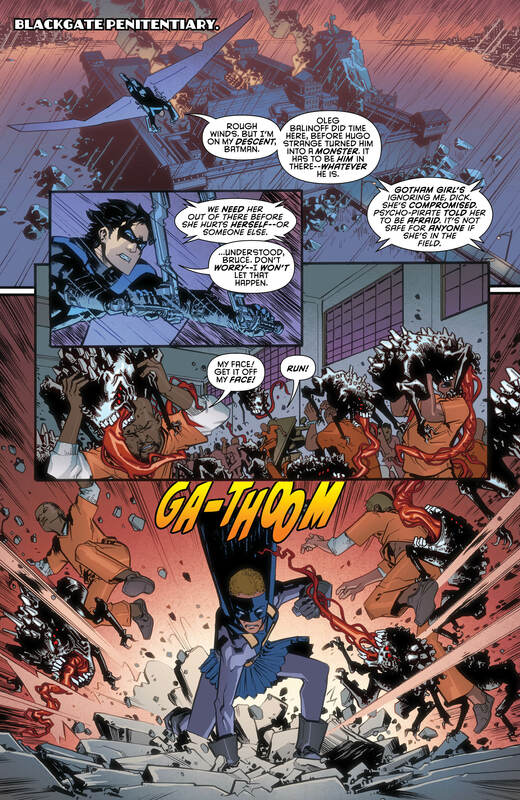 The deadly Mr. Bloom has Jim Gordon and the GCPD on the ropes, having given his deadly “seeds” to countless Gothamites. 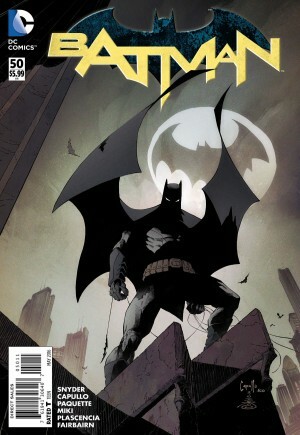 Now the true Dark Knight must return to once again vanquish the villain and save his city. But is it already too late? Mr. Bloom turned out to be a better villain than he initially seemed. On the surface he seems to be an odd hybrid of Poison Ivy and Scarecrow, with a touch of Joker mixed in. But at heart he’s an anarchist, fed up with the system and determined to go to unspeakable measures to restore the “natural” order of things. 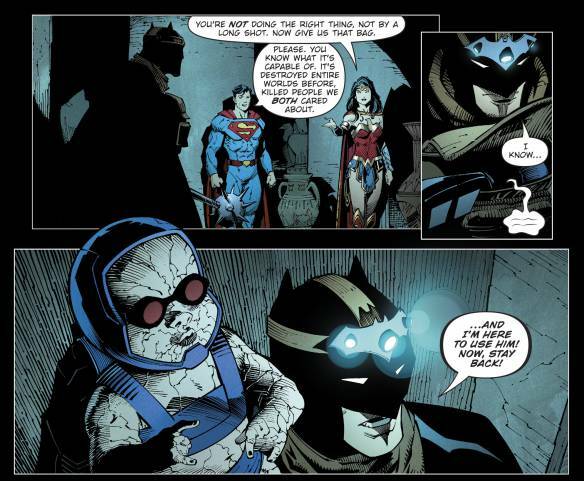 Bloom’s identity is left ambiguous here, which is an idea I can only wish Snyder had applied to The Joker. (Sorry folks, I’ve still got Zero Year issues.) I’m not sure how well Bloom would hold up to repeated appearances, if that’s indeed in the cards for him. 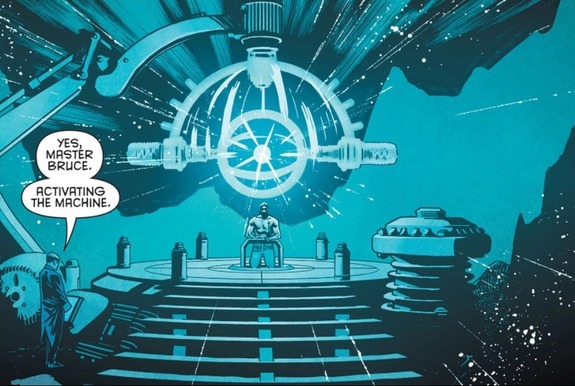 But for now, he’s a villain worthy of Batman’s grand return. Duke Thomas has gotten a nice spotlight in this story. 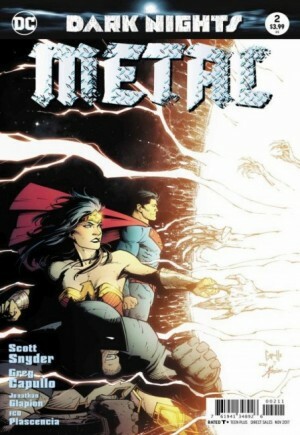 Near the end of the issue Snyder begins to close the arc he started with Duke in Zero Year. 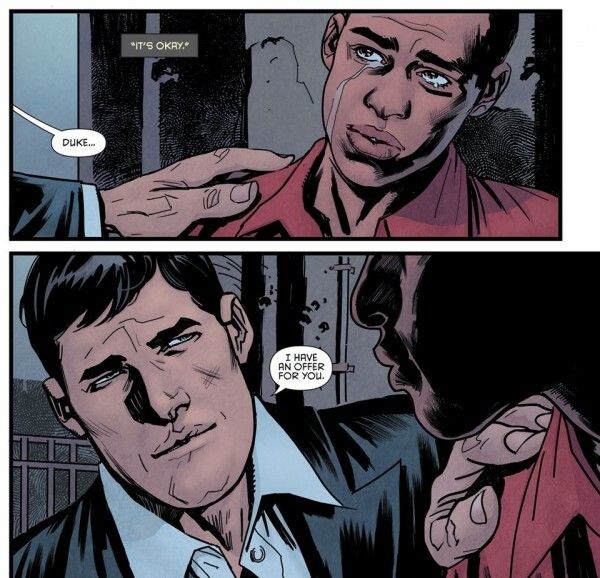 Between what we’ve seen in both Batman and We Are Robin, he’s become a really interesting character. 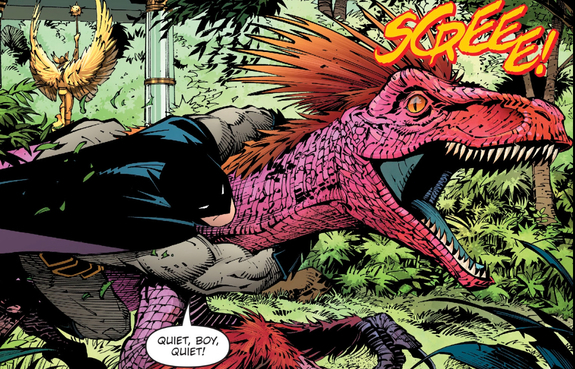 I can only assume we’ll see him again in Batman #51, which is our creative team‘s last go-around with The Dark Knight. 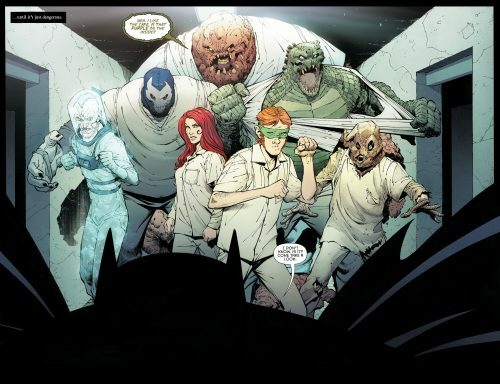 Still, while Bruce’s return is drawing the readers in,andDuke beignets come into his own as a hero, the true hero of Batman #50 is Jim Gordon. And that’s how it should be. Despite being woefully ill-prepared for the role of Batman, Gordon never stopped pushing back against the odds. 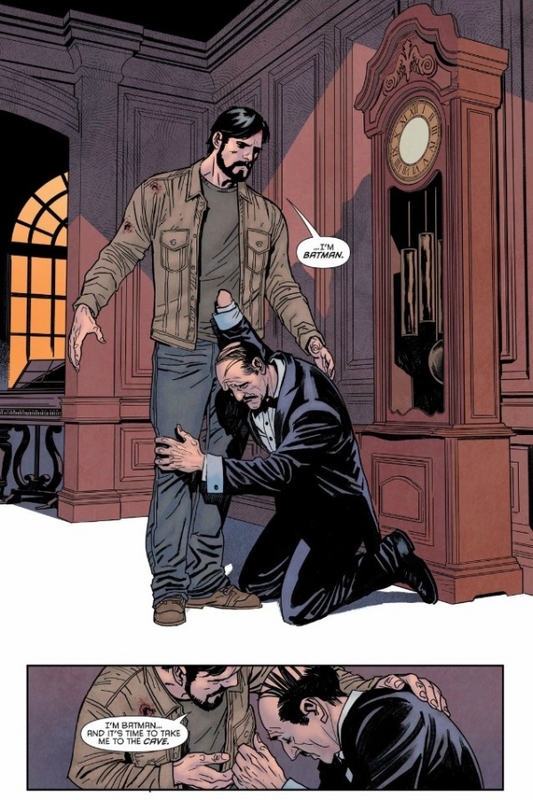 And in the end, it is he, not Bruce Wayne, who risks it all and finally defeats Bloom. 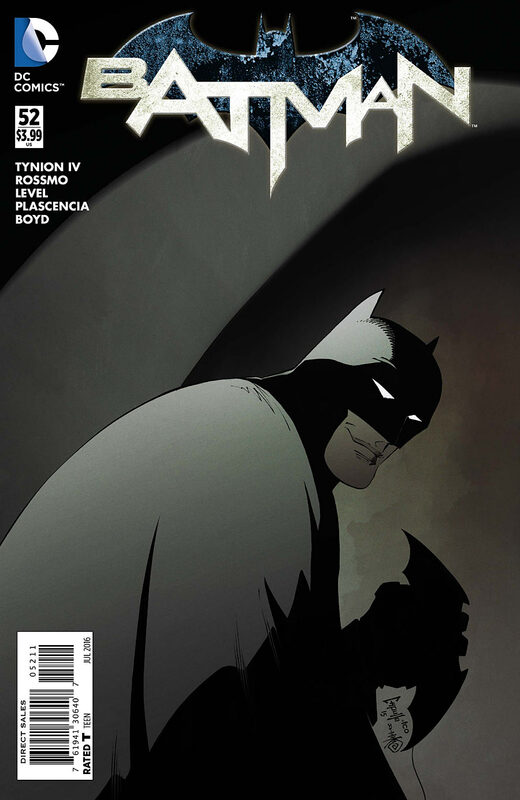 Near the end of the issue, we learn Gordon is even more noble than we thought in his efforts as Batman. It wasn’t just about answering the call for Gotham. For Gordon, it was also about letting his friend finally rest while someone else took the load on. That sentiment speaks volumes about Gordon and his relationship with Batman. 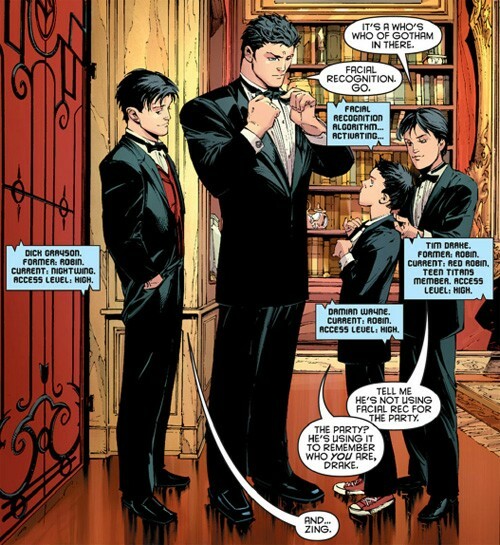 It’s even hinted he knows Bruce’s secret, which is fine. It remains unspoken between them, as many things are. 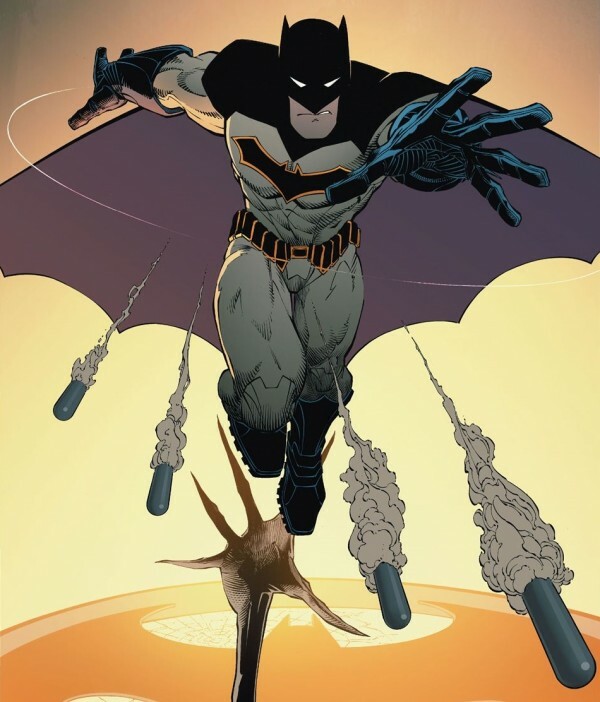 For his return, Batman sports a new costume (shown above). I’m a fan. The shades of blue in the cape and cowl, and the yellow outline around the Bat symbol are a nice tribute to what’s come before. 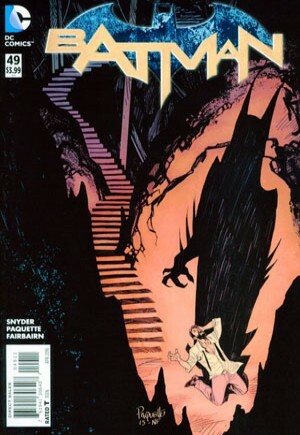 I also like the little sneer Batman has on that first splash page. 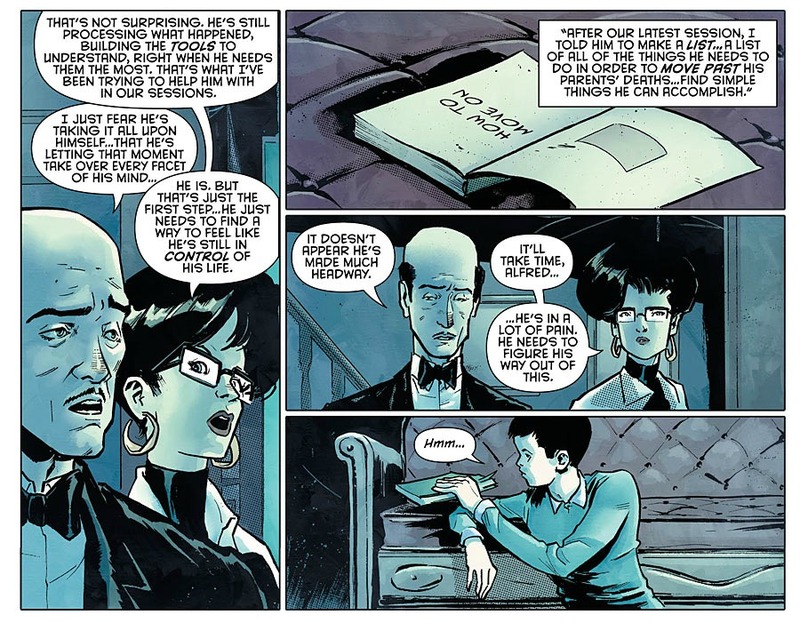 As we see Mr. Bloom’s downfall, Gordon has a monologue about who and what Batman is. The gist of it is that while Batman can’t necessarily fix Gotham’s deepest-rooted problems, he inspires its citizens by believing in them. 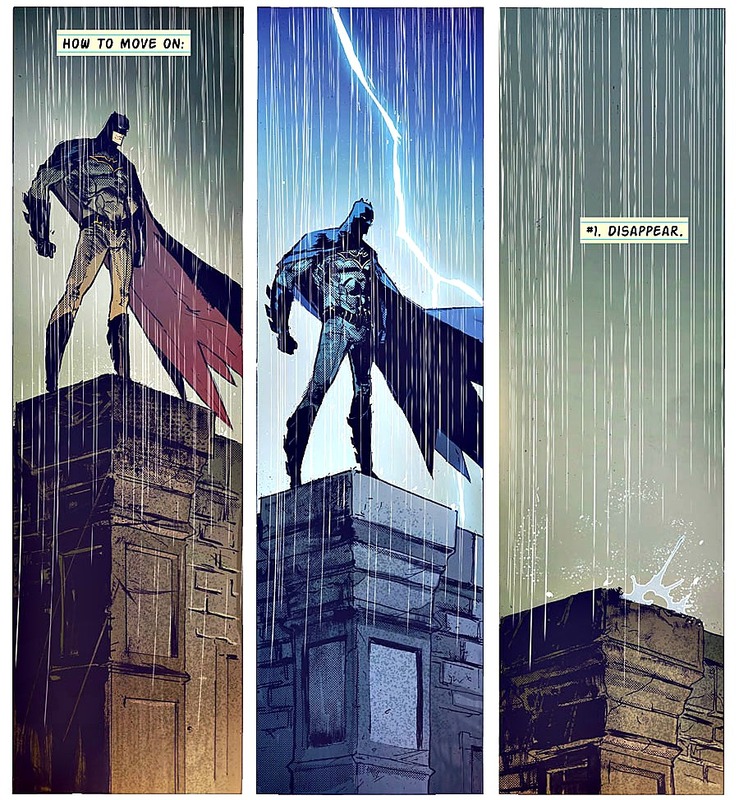 Snyder writes a great line with:”He’s the superhero who sees us as the heroes we can be.” I won’t say it’s the best Batman sentiment I’ve ever heard, but it’s still pretty damn good. Image 1 from gamespot.co,. Image 2 from geeklyrant.com. 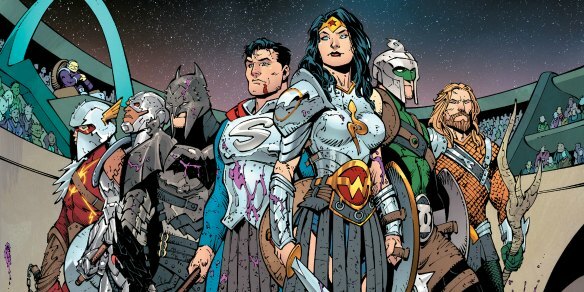 Image 3 from bleedingcool.com. 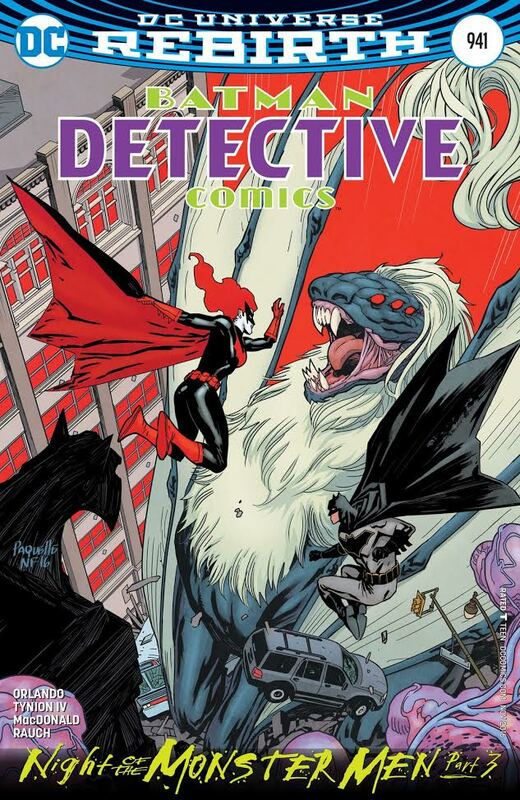 This entry was posted in Comic Books/Graphic Novels and tagged Bat Cop, Batman, Batman #50 (2016), Batman costume, Batsuit, Bruce Wayne, comic book reviews, Commissioner Jim Gordon, DC Comics, Duke Thomas, Greg Capullo, Jim Gordon mohawk, Julie Madison, Mr. Bloom, Rob Siebert, Scott Snyder, single issue reviews, Yanick Paquette on 03/28/2016 by primaryignition.